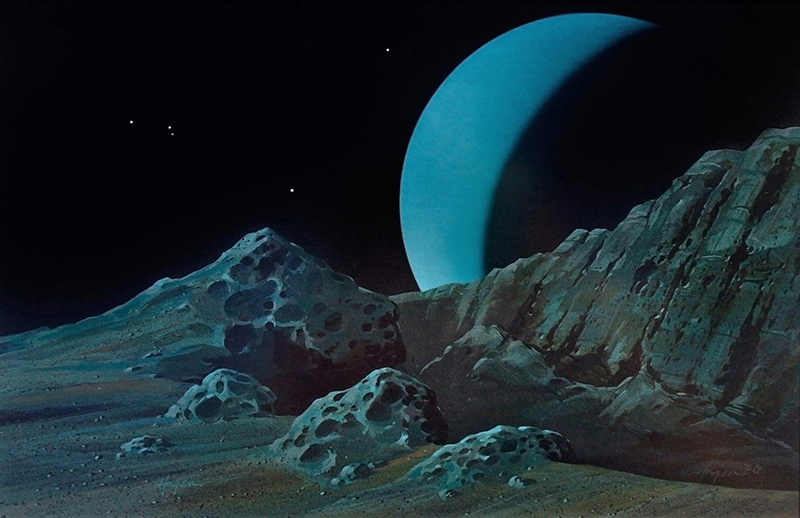 In this acrylic painting I wanted to convey something of the jumbled nature of the terrain on this intriguing moon of Uranus. This artwork is copyright © Joel Hagen. All rights reserved.